Harvest progressed satisfactorily across most horticultural sectors through the autumn, as climatic conditions generally favoured growers. However, as has been widely publicised, a shortage of labour posed a real challenge in most growing regions. In Marlborough, the grapes came off the vines in March and April after a wet lead-up increased the risk of fungal diseases, persuading growers to advance the harvest. Apple harvest tracked well in all districts, though the wet March and April prolonged it more than usual. 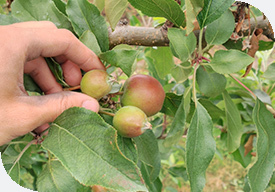 Good growing conditions resulted in fruit yielding well for quantity, size and colour. Gold G3 kiwifruit came off first, starting in mid-April, with the Haywards green crops following. Meanwhile, in other parts of the country, preparation for upcoming crops was underway, including replanting tomato and capsicum in West Auckland glasshouses, planting strawberries, and establishing winter vegetables. With seasonal labour required to harvest and pack crops in districts from Central Otago through to Northland, many growers suffered from the shortage of available staff, which was more acute this year than previously. This is essentially a side-effect of the ongoing development of horticultural production areas, the success of the sector and the appetite that markets in the rest of the world have for produce exported from New Zealand. Growers are seeking a political solution. This report was prepared in consultation with PGG Wrightson’s Fruitfed Supplies, a leading horticultural service and supply business servicing New Zealand’s major horticultural regions. Read the rest of Rural Property Pulse here.